Light to moderate rains affecting portions of Bohol which may continue for 1-2 hrs. Light to moderate rains affecting portions of #Bohol which may continue for 1-2 hrs. WEATHER TODAY: Bicol region, Cagayan Valley, Cordillera, CALABARZON and MIMAROPA will have cloudy skies with light rains. According to PAGASA WF Jori Loiz, as of 1:00 AM today, the LPA spotted South of Puerto Princesa City is now OUTSIDE the PAR. Rise and shine, Philippines! Get the latest weather news on @PanahonTV with @AmorLarrosa , 5AM on @PTVph ! 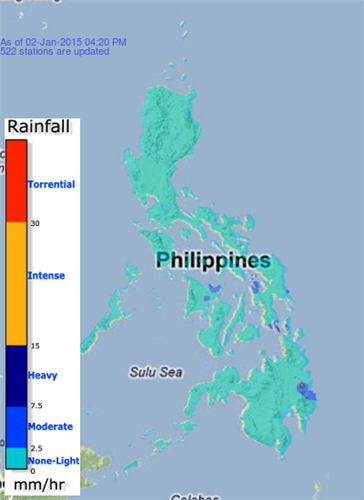 Tail-end of a cold front will bring moderate to occasionally heavy rains and thunderstorms over the Bicol Region. 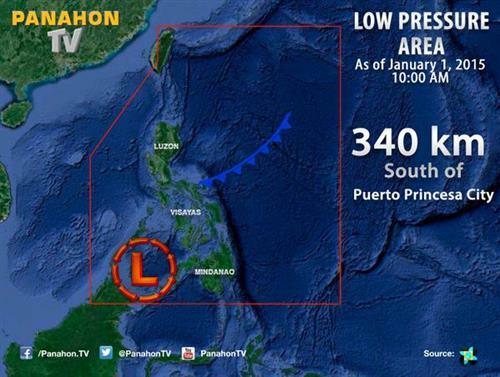 LPA is expected to bring cloudy skies with light to moderate rains and thunderstorms over Southern Palawan.